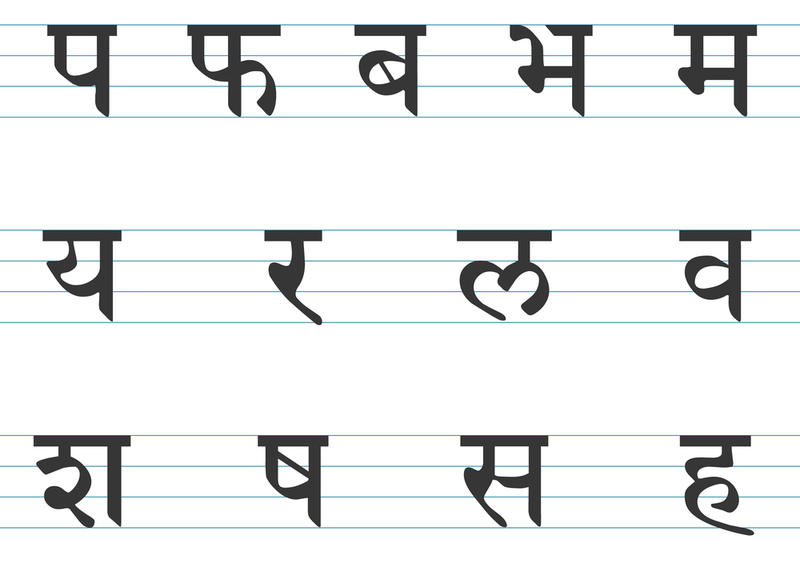 Here is the rest of the alphabet in devanāgarī script. Each symbol includes the sound a; for example, the first symbol is pa and not just p.
Note the differences between ba and va; ya and tha; pa and ṣa; la and ḷ; bha ma and sa; and kha with ra and va. Unlike the other case endings, the sixth (ṣaṣṭhī) indicates a relationship to a word other than the verb, i.e., to another noun in the sentence. This is usually rendered in English by the preposition “of” or with an apostrophe, for example, “he talks to the son of John”, “he drives John’s car”. In both these examples John has no relation to the action of the verb: indeed John may be absent, even deceased. This case ending generally indicates a relationship of source or possession, for example, “John’s book” may refer to the book that John purchased, or to the book that he wrote. The word in ṣaṣṭhī is usually placed immediately before the word to which it is related. The seventh (saptamī) case ending indicates the place or time where or when the action takes place, and may be rendered in English by the prepositions “in”, “on”, “at”, “among”, etc., for example, “he stands on the table”, “it is hot in summer”. A word with saptamī case ending is often the first in the sentence, setting the scene as it were. Strictly speaking, Sanskrit has just seven case endings, however many publications give an eighth, sambodhana, which is used for addressing or calling, for example, “Oh Lord, hear my prayers”, “John, where are you?”. 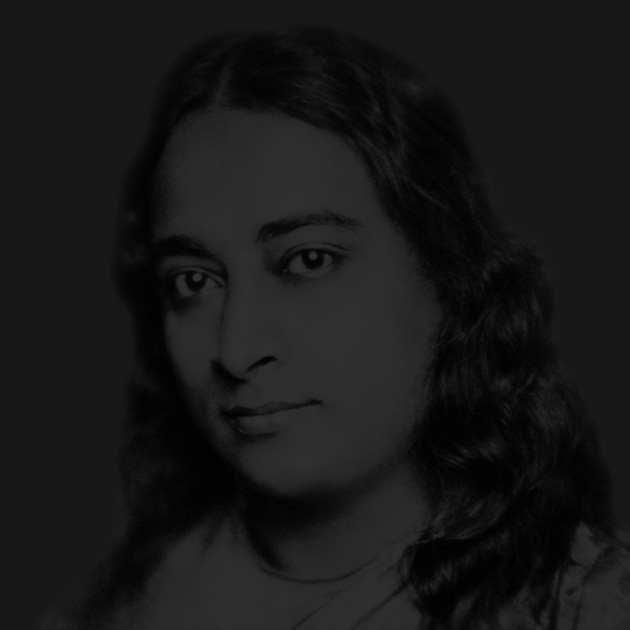 In fact this is simply a special use of the prathamā (first) case ending. The vocative particle “he” is traditionally sounded in the paradigm; it is optional in a sentence and may be translated as “Oh”. Publications that list sambodhana as an eighth case ending, place that row at the bottom of the table, labelling it simply “sambodhana” and omit the vocative particle “he”. The sandhi change of n to ṇ that occurs in eka-vacana tṛtīyā, also occurs in bahu-vacana ṣaṣṭhī, thus aśvanām but vṛkṣāṇām. naram — narau — narān (pause) etc. Practice sounding the full declension of nara as given in 5.B.1. Practice reading and writing the last thirteen consonants (vyañjana), in Roman script and devanāgarī. You (two) are carrying the man from the tree to the horse.